Floor Stripping & Waxing, Doctor Phillips, FL | Proclean Properties Inc. Floor Stripping & Waxing, Doctor Phillips, FL | Proclean Properties Inc.
Let us restore the beauty of your vinyl or VCT commercial flooring. It is no small undertaking trying to keep a commercial floor looking its best. Even with regular mopping, buffing, and waxing, they can become a dull version of their once beautiful version. Here at Proclean Properties Inc., we offer a solution to restore your Doctor Phillips, Florida company’s flooring that makes more sense than replacing it. Our floor stripping & waxing process will rejuvenate your floors whether they are vinyl, marmoleum, linoleum, or vinyl composite tile (VCT). Floor stripping & waxing provides a preservative layer that will make your flooring last longer. 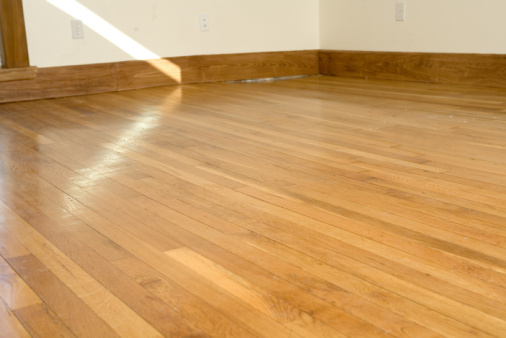 Any damage that might occur is happening to the wax layer instead of the flooring material itself. The important thing is keeping up with replacing that layer of wax before it wears thin and leaves your flooring vulnerable. Our process strips off the remaining wax before adding a new layer, so you won’t experience areas of wax buildup. Don’t trust floor stripping & waxing to someone without experience as that can result in more harm than good. Our skilled team utilizes the best equipment and materials on the market and applies multiple coats, so you can experience long-lasting performance. If your flooring isn’t looking as impressive as it could, turn to us for high-quality floor stripping & waxing services at an affordable price. We can also handle other cleaning needs for you, such as carpet cleaning, tile & grout cleaning, and office furniture cleaning. We also provide residential cleaning services. Call today with any questions you may have or to make an appointment for any of our services. At Proclean Properties Inc., we offer floor stripping & waxing services in Winter Park, Orlando, Windermere, Winter Garden, Oviedo, Longwood, Sanford, Wekiva Springs, Apopka, Lake Mary, Doctor Phillips, Ocoee, Waterford Lakes, Maitland, and Altamonte Springs, Florida.